Can your gadgets get you fit? 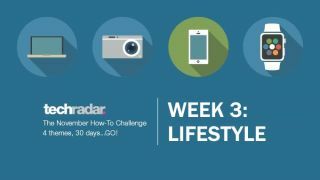 techradar's November How-To challenge is well under way and this week we'll be giving you lifestyle-themed tips and tricks. We'll be showing you how you can turn your smartwatch into a personal fitness trainer, and how to get the best workout from your Apple Watch. If getting in shape sounds a bit too much like hard work, don't worry - we'll also be showing you how to get the most out of your digital media and guide you through turning your home into a high-tech paradise. Make sure you join the November How-To challenge Facebook event to make sure you don't miss a single tip.